Adore white? Then you must have the Mr. White Numbers Wall Clock! No kidding, this clock is truly breathtaking, It's decked all in white so it's perfect for shabby chic spaces where neutral colours and pale white variations dominate. It's also perfect for coloured rooms especially if you want a pop of the unexpected on there. 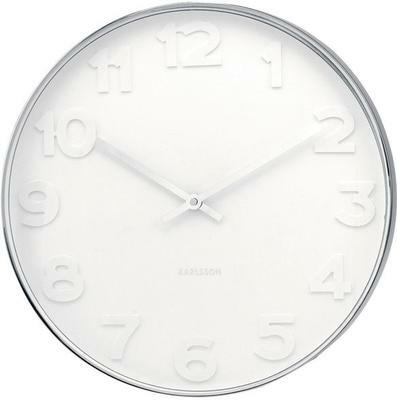 The white clock face, clock hands and frame allows the clock to easily stand wherever it is placed. Make this a part of your home today. You can also give this as a present to a friend or family member who loves the colour white. They will be happy to receive something this unique.